Poult Wood is a picturesque woodland course situated three miles north of Tonbridge and offers a choice of two interesting and challenging courses and a great restaurant and bar, making it the ideal venue for golf societies, charity events and corporate golf days. It has a reputation for being one of the finest quality pay and play courses in the South of England. The 18 Hole par 68 Course is 5,514 yards (5,042 metres) and offers a well balanced blend of par 3s, 4s and a par 5. The Course is designed to challenge the more accomplished golfer but also to give a great society experience. Offering tree-lined fairways, the course is quite tight, so you need to be in control of the ball, but it’s very user friendly and mature, with wonderful vistas from the Clubhouse. 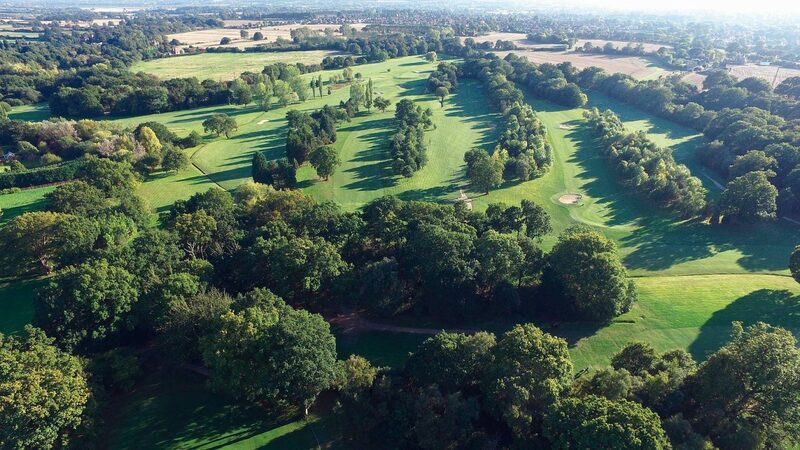 The 9 Hole par 3 is a high quality course of 1,221 yards (1,171 metres), starting and finishing in ancient woodland, with many holes giving panoramic views across the Weald of Kent. Poult Wood has a relaxed and friendly atmosphere, which is extended to societies, who can choose from a menu of flexible options to suit individual needs. Full catering is available in the Clubhouse Bar and Restaurant which offers comfortable surroundings, first class service and great value for money. For further information please visit www.poultwood.co.uk. Societies are welcome seven days a week at Poult Wood. Our menu of golf and catering options allow you to book a day that suits your requirements and budget, all of which reflect a discount against our standard charges. Please visit our website. By Car: Poult Wood is signed from the A227 Shipbourne Road, in Higham Lane, three miles from Tonbridge town centre – postcode TN11 9QR. There is plenty of parking with CCTV coverage over both the main car park and the overflow car park. By Rail: Poult Wood is situated three miles from Tonbridge Station, with connections direct from Charing Cross and Ashford. Taxis are for hire outside the station. For 18 and 9 Hole green fees please visit our website.